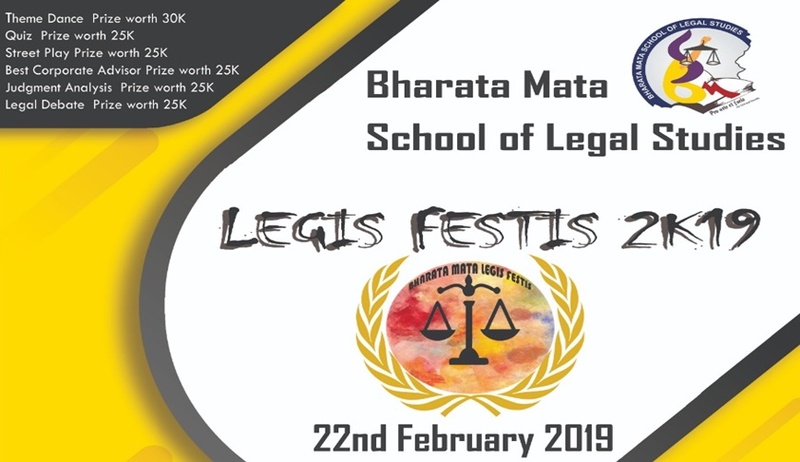 Bharata Mata School of Legal Studies, Kochi, is organizing their annual fest, LegisFestis. Participation in Legal debate and Judgment analysis is restricted to Law students. Participation in Best Corporate Advisor is restricted to UG Students. Any UG/PG students can participate in all other items. Queries can be addressed to legisfestis2019@gmail.com. The brochure can be accessed here.